One of the challenges facing market leaders is that transformational trends are only obvious when it is too late. Transformation typically starts in seemingly disconnected industries, or as innocent offerings targeting completely different customer segments. To spot transformational trends early, companies need to follow the guidance of Wharton professor George Day and long-time McKinsey & Co. thought leader ... Richard Foster: they need to experience the peripheries of their industry ..... "
Games Grow as Ad Medium; Brands Play Starring Role. Procter & Gamble's Bounty is cleaning up when it comes to in-game advertising. The paper towel brand has been featured inside Electronic Arts' Playfish social game "Restaurant City" since mid-June and has added more than half a million fans to Bounty's Facebook page. Players complete quests to unlock rolls of Bounty towels that clean more quickly than the game's standard paper towels, and then in a more difficult five-day quest, unlock a Bounty janitor who is 30% more effective at cleaning than the standard janitor. More than 2.5 million players have unlocked the paper towels and more than one million have scored the janitor ... "
The Japanese have always been interested in companion and help-mate robotics. Their aging population gives an urgency to that context. Here an article on some recent work on how robots can give and receive love. I was ready to dismiss this, but an astute colleague suggests there are applications to recovery from Prostate surgery. Innovative thoughts. Another example of in-store TV networks to leverage the location of shoppers to their brand choices. This area, which we studied in depth, continues to evolve and grow. Linking this to store sales to do real-time business intelligence about what works and does not. An experimental sensor network in the store. They need good analytics. The full article below has useful details ... "
We wanted to let you know that on July 7th, CNBC will air an original one hour documentary titled, "CNBC Titans" which will explore the history of P&G's starting with its founders William Procter & James Gamble. CNBC will take an in-depth look at how the company maintained it strong leadership position since it was established in 1837. The program will dive into topics such as innovation, leadership and marketing behind several of our leadership brands including Tide, Charmin, Pampers and Crest. The show will explore how the Company's Purpose guided it though some of the business's most challenging times. This historical documentary includes nearly 20 of P&G's key senior level executives including Bob McDonald, Chairman of the Board, President and Chief Executive Officer, Jon Moeller, Chief Financial Officer, Marc Pritchard, Global Brand Building Officer and many more. It includes perspectives from former CEOs including A.G. Lafley, and John Pepper. Predictive analytics does not predict exactly, no matter how big the data set is. It is an extension of statistical modeling in most cases, especially when human behavior of any kind needs to be included. Nicely put in a ReadWriteWeb piece. Does not mean that Big Data or Predictive modeling is not useful, just that we cannot put too much confidence in the big data models. Social science is not physics. Paypal, notable online payment facilitator, predicts the end of the old leather wallet by around 2015. ZMOT was a concept we often discussed in the enterprise. Google also uses the concept, only slightly differently. See more in a post in their consumer package goods blog. The post also contains a link to a short free eBook on the topic that is illuminating. Note the connection to FMOT - The first moment of truth, in the retail store. Currently reading.
" ... The way we shop is changing and marketing strategies are simply not keeping pace. Whether we're shopping for corn flakes, concert tickets or a honeymoon in Paris, the Internet has changed how we decide what to buy. Today we're all digital explorers, seeking out online ratings, social media-based peer reviews, videos, and in-depth product details as we move down the path to purchase. Marketing has evolved and modern marketing strategies have to evolve with the changing shape of shopping. At Google, we call this online decision-making moment the Zero Moment of Truth -- or simply ZMOT ... "
Friend and Colleague Sundar Kadayam has an excellent post on Social Search and Bing.He and his team at Zakta and Searchteam really understand the complexity behind team and social search and the use of those methods to drive value. Check out his thoughts on this topic. My blog comes to you from social media command central just outside of Cincinnati every day. I was surprised to see that Mashable had given Cinci, my home for over thirty years, this august title. Yet it is a remarkable place, I meet surprising people and ongoing efforts every day. It has been a nexus for marketing science and applications since before radio. So, congratulations, and keep up the good work. Happy to have been a part of it. Yes, Google + is another attempt. Buzz, the earlier approach has slowed down and I rarely even go there anymore. There are some good ideas in Google+, in particular an easy way to set up connection groups, such as friends, family and office. Also closer connections to mobile interaction. Is it too late to beat Facebook? The next few years could bring a glut of physical groceries as younger, more affluent shoppers choose online shopping, said Dan O'Connor, president and CEO of RetailNet Group, speaking at Food Marketing Institute's Future Connect Conference. He said retailers can create "on-ramps" for such shoppers through efforts including digital marketing and social media integration with the shopping experience ... "
App stores are such a great idea. One stop shopping for any kind of software. Nicely categorized for browsing, priced and reviewed. Competitive to keep prices lower. Creates a real software market. It attracts new software, promotes updates and simple purchasing terms. Needs for new ideas show themselves, and soon there can be an App for that. So why is there none for Windows? There is one now, the Avenue App Store, still in early stages, but growing. Much more about the service in Mashable. Unilever aims to use mobile as its primary marketing channel within ten years, in a strategy that includes covering mobile data charges for those interacting with its brands. The FMCG giant is paying for the mobile data charges incurred by people who download and use the mobile app for its Lynx Stream campaign in a bid to bolster reach. The app lets users share photos and updates of a night out via their social networks. Unilever has struck a deal with Openmarket to minimise the cost for those using the app ... "
What is it? GS1 MobileCom/B2C Day 2011 is global event to understand thegrowing potential of mobile commerce and digital business-to consumer interaction for the FMCG/Retail sector. GS1 MobileCom/B2C Day will take place on 29 June 2011. More information and registration. Via Joe Horwood, GS1 work is usually rich, objective and useful for people with interest in shopper behavior in the realm of new technologies. Recommended. Amazon has started an ad network where you can sell ads to just about everything, anywhere. A clever idea. Much more.
" ... The e-commerce giant has started what is effectively an ad network*, where it buys Web advertising inventory and resells it to marketers at a premium. It can add a mark up to its ads because it’s using the data it collects about its visitors and shoppers to target likely prospects.... "
Interesting development includes monetization, which will probably see some more games appearing on sites. Is that good? Mark Perry posts about the potential for companies like WalMart to address such problems as the recently coined 'food desert' issue, using Washington DC as an example. Efficient delivery of a broad selection of foods, at low prices, plus jobs as well. Who could be against that? It has been a long time since I took a look at DemandTec for deep analytical applications like revenue management, promotion and assortment optimization. We looked at their impressive analytical methods shortly after their founding. Rare direct use of mathematical methods for retail and manufacturing, which paralleled some of our own long-time work in the enterprise. I see that they are now working with Dollar General. An excellent example of augmented reality, enabling the J Paul Getty Museum in Los Angeles to use Google Goggles to get more information about the museum's holdings while touring the space. I think that examples like this will increase the public's use of such technologies. More here. In Process: The Art of Game Design: A Book of Lenses, by Jesse Schell. Have made my way through the introductory parts of the book. Very well done overview of game systems inspires me to want the rest of the book as needed. The book link contains a look inside feature to check out the level of detail. In the local press: Procter & Gamble has said they will contribute at no cost 3D process modeling programs to help create a ' manufacturing renaissance' in the US. The models are used today to model things like the flow of urine in diapers. Such models are commonly used in advanced manufacturing systems today. I had the opportunity to look at a relatively new Geographical Information System: GeoIQ. Have worked on a number of company GIS projects and this looks to be a very good solution. In particular the ability to address large amounts of real time data. See also their blog. In 2005, devastating worldwide events such as the London bombings and Hurricane Katrina proved that legacy data analysis tools and techniques which used dated, static location information were no longer an effective means for data sharing, risk mitigation or real-time analysis. To answer this need, we created GeoIQ, the first completely web-based location analysis platform with the capability to unleash a world of dynamic location information that had previously been locked in proprietary databases. The first version of the GeoIQ platform was launched through our community site, GeoCommons, which has since been adopted by more than 20,000 users around the world. GeoIQ enables enterprises, marketers, retailers and public sector organizations to fuse together massive amounts of information from numerous data sources, analyze it using location as the common pivot point and clearly identify trends and opportunities to drive better business decisions. Organizations across all market sectors have leveraged GeoIQ’s innovative location-based solutions to better deliver actionable information for dynamic decision making .... "
Good overview in ReadwriteWeb: More indications of if libraries will survive and what form they will take. Will they be in the Cloud with the rest of us? Or parceled out in book like pieces? How will compensation be delivered to authors and publishers? Will reading devices be checked out as well? Seeing that here locally.How many e-copies will a library hold? Lots of interesting questions to consider. " ... There have been fears on the part of many librarians that the move to digital content would harm libraries - not because of any problem with the digital format per se, but rather that some of the restrictions on their access to materials and to lending would be too onerous. However it appears as though there are a number of new pricing models for libraries and a number of lending alternatives. Patrons clearly want to borrow and read e-books, and most libraries are in the process of developing programs to make that possible ... "
Visualization Viewpoint in IEEE Computing Now, If they can, can we do the same working with them? Visual analytics seeks to conduct a discourse with the user through images, to stimulate curiosity and a penchant to decipher the unknown. The computer supports the user in this interactive analytical reasoning, constructing a formal model of the given data, with the end product being formatted knowledge constituting insight. Yet, validation and refinement of this computational model of insight can occur only in the human domain expert's mind, bringing to bear possibly unformatted knowledge as well as intuition and creative thought ... "
And more about visual search. I worked on several projects in this area, and it is a difficult problem, though there have been advances in recent years.
" ... The technology, developed by Cortexica, a startup spun out of research conducted at Imperial College London, has already been used to create a wine comparison app called WINEfindr. Last week, the company launched an application-programming interface (API) for the technology, which will allow others to build similar apps. "It's a bit like the bar-code scanning apps that link a physical object in the real world to online content," says Anil Bharath, a researcher at Imperial and cofounder of Cortexica. "But rather than having to create a QR code, it recognizes the object itself," he says ... "
A good introduction to similar image search in Google, here applied to specific sites. I am late to this but see the POPAI Shopper Engagement Study.
" ... Nearly 95% of decisions are made by the subconscious mind. Yet when it comes to understanding how the minds of today’s shoppers are deciding what they like and don’t like or why they buy or don’t buy very little is known. In an effort to unlock the mystery of the shopper’s mind and better understand the power of in-store marketing, POPAI is launching it’s ground breaking Shopper Engagement Study. POPAI’s Shopper Engagement Study, which includes a groundbreaking combination of neuroscience monitoring, eye-tracking, and shopper interviews to determine in-store decision rates and the power of in-store marketing will provide greater insight into shopper behaviors and the power of in-store marketing.... "
Read the full article, I will report on results. I asked for a review copy of the Google Chromebook. Still waiting. A sleek new concept of a laptop, which contains no disk drive and little memory. Support hardware for the Chrome browser, with the Cloud nearby. Samsung now has a version out. Designed to be used when you are connected to the net. Early versions do not have the ability to do typical things like editing documents when not connected, but that is being remedied this summer. I assume that this will cover the kind of things that can be done with Google Docs. Claims to be optimized for Web use, and yes the Chrome browser on my laptop is snappier than any other browser. Similar, but heavier than a tablet, but includes a keyboard. Similar cost to current tablets or netbooks. They have a library of many available apps, but not sure what kind of space that covers. I like the general idea of a minimal system, browser based, but it fundamentally needs to be designed for the traveling user with heavy interaction needs that also wants to be up to date with useful and common business software. Has to replace a current laptop to be broadly feasible, not just another tablet. More in the NYTimes. They do have corporate and education rental deals which could be intriguing. In theory, easier to replace and maintain than other devices in the enterprise. They are being tested with the city of Orlando. In the WSJ: People feel and act smart if the are shown examples of intelligence. If they can identify or compare themselves to the examples they see. But as you often see in these kinds of social science studies, the sample size is too small. Depressing thoughts in this Tech Review article. Only one-time generated passwords are particularly strong. Will we all be condemned to remember all those passwords forever? Or use fingerprint or iris scans? In the WSJ blog: The Numbers Guy, by Carl Bialik: Now Much is this Blog Post Worth? Addressing how in the rush to measure things, quantitative measures are often assigned to things that are just not quantifiable. Here discussed are advertising value equivalents: '... the longstanding but controversial public-relations practice of converting media coverage into monetary figures by assuming the exposure was worth as much as similarly placed advertising .... '. Once you have assigned a number to something, it is assumed that all the usual arithmetic and even statistical manipulations can be performed. The inanity of the original measure is forgotten once the values are recorded. Beware. I noticed this post when I saw that a former colleague of mine was quoted: “Ad equivalency is great for sound bites but not substance,” said Charlotte Otto, strategic advisor at the PR firm Weber Shandwick. “They are generally ‘made up’ numbers and highly dependent on liberal assumptions used to calculate equivalency.”. Made-up indeed, but then often used to justify all sorts of other things. Read the full post for some examples. Doing some experiments with QR codes and their use in publications. Also the recognition of their use by the average consumer and their ability to use them. I did a quick and unscientific survey at the local swim club lately and only two out of ten adults had ever used them. Three out of ten could tell me what they were. Here the local paper has just started to use them in support of stories. At the right, a QR code for this blog you can scan with most smartphone based scanners. Its only 'Fair use' if you can pay the legal fees. Case study. This sounds scary to me. Targeting via what my network looks like. Some insightful thoughts about why the cloud is increasingly being thought about for enterprise database applications. Mentioned is ParAccel, designed in particular for difficult analytic applications, now becoming common. " ... ParAccel's software is designed to run analytics workloads, and the sweet spot for its distributed database system is "around the 25TB range," said CTO Barry Zane ... ParAccel's customers are businesses that rely on analyzing large amounts of data, including financial services, retail and online advertising companies. One customer, interclick, uses ParAccel to analyze demographic and click-through data to let online advertising firms know which ads to display to end users, he said. It has to work in near real-time, so interclick runs an in-memory database of about 2TB on a 32-node cluster" . Taking a closer look at this for client applications. Nielsen says that online Grocery sales will double. And Wal-Mart tests online grocery delivery in California. Step forward for online sales. An Instructive development. Have been awaiting a good commercial example of the use of a location gaming social system like Foursquare. Will watch this development. Analytics Magazine, always interesting content in the process of improving business. Techniques, case studies, software, trends. The deep value proposition for business intelligence and predictive methods. In the news this week word that the US is changing its Cigarette packaging to remove the text health warning and replacing them with graphic scare images. I was interested about how brand innovator Martin Lindstrom would react to this, since one of his claims to fame, published in his book Buyology: Truth and Lies About How We Buy, were that a similar approach, used in other countries for years, was not effective. I asked him, and he has published his response on Facebook. An early alert to the integration of neuroscience and marketing, driving non-conscious effect. Google got a billion unique users in May, eWeek reports. Our computer connectedness continues to grow. A fascinating technical overview of the unsuccessful search for lost at sea computer scientist Jim Gray in 2007. I remember following the effort. There was no lack of resources expended. It does show how technical efforts are sometimes just not enough. Also explains the broad use of satellite imagery, geographic modeling and the use of coordination, both human and supercomputer in the search and rescue work. Adage: 12% of US users have a tablet like the iPad. Expected to double by next year. More useful statistics.
" ... How could P&G marry the creativity of Edison’s lab with the speed and reliability of Ford’s factory? The answer its leaders devised, a “new-growth factory,” is still ramping up. But already it has helped the company strengthen both its core businesses and its ability to capture innovative new-growth opportunities. P&G’s efforts to systematize the serendipity that so often sparks new-business creation carry important lessons for leaders faced with shrinking product life cycles and increasing global competition.... "
Consumer packaged goods sector is growing and digital involvement is key. Join Ameritest and Sands Research Inc. as they show the insights found by testing one ad in both a neuroscience (Sands Research Inc.) and quantitative environment (Ameritest). The recent, successful commercial produced by Volkswagen, "The Force" (and one of the highest ever scored in SRI's Annual Super Bowl Study) is used as the stimulus for identifying where the real differences/similarities exist between research systems and how we can extrapolate the appropriate insights from each. Unable to attend? Contact us: info@sandsresearch.com and mention "webcast"
It comes to mind that this blog is about emerging technologies. Yet I often go back to my own and related enterprise experience and history. Examples, like AI, where the technology often failed at first, in expert systems, but is either emerging again in the same or another form. Delivering just-in-time information in visual form is another topic that has come up often recently. It just did not have the technology ready when we did it first, in the late 80s, but now we have smart phones and pads and ubiquitous mobile connections, the horsepower to make it work, and it is thriving. History sets a useful perspective. Seen at the recent Continuous Web meetings: A new online magazine by Fulcruum Publishing called Brilliance. The Premiere issue of June 1 is called: Escaping the Echo Chamber of Noise and Nonsense. Articles include: Why Being an Addictive Brand isn't an Option and Sweet Symbiosis of Creativity and Health. Downloadable from their site as a PDF, I viewed it from iBooks on an iPad horizontally. They said it can be viewed in other formats like Flipboard. Graphically very well designed, though I would have preferred the text size to be larger in default. This kind of online magazine has no embedded links, and links are something I prefer in anything online. I know that it is often seen as disruptive to an article to have links, but if I am on the web I want the richness of that context. The articles I have read so far are well written, I look forward to more. Fulcruum positions themselves as " .... a boutique publishing company that serves career renegades like us. Our mission is to help our fellow rebels make the exhilarating transition from desk jockey to promising writer / self-publisher as we did. In essence, we are your competitive advantage - a devoted partner that demystifies the self-publishing process and manages its execution hassle-free ... "
In the heady AI/Knowledge Systems days of the 90s we wrote dozens of rule based systems that contained thousands of rules. These were designed to capture and reproduce the knowledge of corporate experts. Maybe even run the company, lights off. From time to time I still get questions from people who ask how we did that, and what vendors exist that can help deliver knowledge systems. I have been an advocate of building 'Business Process Modeling' (BPM) descriptions of corporate process, which has some similarity to these same logic based systems. In particular the results can be delivered in easily understood visualizations that can be used for training and delivering the outline of key expertise. I have kept up with one system that is useful for these kinds of systems: Visirule, from Logic Programming Associates. Check it out and let me know what you think. Also, here is a spreadsheet containing a number of sample applications of Visirule. The increased focus of Apps is revealing. Note also the integration of UPC code scanning. Here Clorox shares their green data on a smartphone App. " 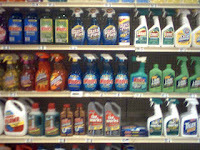 .... Clorox last week announced that it had developed a mobile application and website devoted to making it easier to see the chemical makeup of its products -- and what those chemicals do. The app, which will first be made available to iPhone users later this year, allows people to scan a UPC code and quickly be taken to the Ingredients Inside list for the product. The Ingredients Inside information is already available on Clorox's CSR website..... "
This kind of information would have been found by interested people via a search. 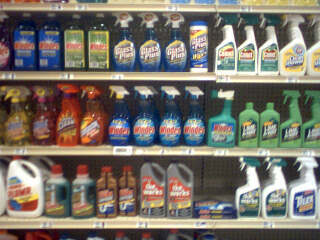 This allows Clorox to better control the information, provide science links, while appearing very transparent. In general is an App more authoritative than an online site? Is that authority improved by the mobile and direct application of an in context and in place 'search' via a scan? Exploring. A reasoned and understandable explanation of the Wal-Mart discrimination case supreme court ruling. Lots of corporate implications. A good article in the Harvard Blogs on really knowing you competitors by using, not just casually experiencing their products. Doing that does not imply disloyalty. In our innovation center retail spaces we included competitive products. That always impressed visitors that I hosted, but we started from the beginning wanting to have a 'library' of both our own and competitive products in their natural habitat, the store shelf. Researchers, marketers and merchandisers should all have an intimate experience with the competition. We needed to understand how they sat on the shelf, could be viewed next to our products, and were experienced by the shopper, in both the store and the home. Early on we did some stocking up trips to local grocery stores and came back with huge loads of competitive goods, raising some grocery store eyebrows. Even those trips were instructive in understanding product context. A post in the blog at Catalyst Online. Brought to my attention this week. Honestly I have not heard the measure of the 'bounce rate' used very often in the enterprise. Still always considered it to be an important measure. Here they make a case of making it less important. Algorithms for real time data analysis for predictive diagnosis. Again this was an early application of artificial intelligence. As suggested this requires that the data has to be available and correct. MJ Perry on the survival of IBM during a hundred years of technological changes. Some great data. It is quite remarkable. From mechanical business machines reading and sorting punched cards to personal computers to the advent of using quantum physics to do generalized data manipulation on a global Internet. Some of the commenters suggest that no company could survive that long without manipulating the market to create a monopoly. But where is the monopoly? Google and Apple are doing quite well today. This ReadWriteWeb piece struck home. Lately I have been in a number of conversations where I discovered that less is known about operational aspects of the Internet than I thought. It is a kind of illiteracy that is not always solved by just being younger. Revisiting About Face: The Secrets of Emotionally Effective Advertising, by Dan Hill. What is more primal than a face? A good portion of our brains are devoted to interacting with faces. Face perception, recognition and processing are an important adaptation mechanism. They help us be social and understand how we relate to other parts of our network. How can faces be interpreted in terms of emotional interactions? I read this book when it came out last year and have had cause to revisit. The Amazon link above has a look inside. From a colleague: ... A company called ImpactGames www.impactgames.com and it’s interesting what they offer. Perhaps you’ve already come across them, but I’ll highlight a few things that stood out for me: it’s a web portal that can bring together many different elements (content, social networking/community, emails of information updates to share the latest news); and they have a very easy tool that lets the business own the content going forward (so with the click of a button I can change images or content so that trainees have the latest, and that they keep coming back because they know that the information is new and relevant). A good description and view of the future of quantum computing, by IBM and others. In Computerworld: " ... Quantum computers could provide a big boost to technologies that are problematic for conventional computers, such as machine learning, artificial intelligence, and logistics. Some researchers are worried that quantum computers could be able to break cryptographic protection, but Security Innovation has developed a public key algorithm, NTRUSignTM, that the company claims is resistant to quantum computing attacks.... "
I will agree in particular on logistics, a speciality of mine, there are still some problems that need to be optimized and re-optimized rapidly, that are still beyond the current capabilities of standard computing. I wondered about this question. It just seems much less versatile than other browsers. It is fast. Is it in the Chromification of the operating system? Attended an excellent Web Startup Showcase today hosted by ContinuousWeb today. One of the best I have ever seen, with some excellent presenting projects. Hosted by Joshua Johnson of local Mindbox Studios. That company was featured in the local press yesterday in an excellent article on innovation. Todd Henry of Accidental Creative gave a very good talk on the process, see his forthcoming book of the same name. I will follow with a further look at some of the startups presented. The latest version of Google Analytics now includes new breakdowns of regions in many other parts of the world. Very useful additional extraction. See also the Google Analytics blog for more useful information, training and etc. A good overview article in the BBC on the Internet of Things. Really a relatively old idea that we explored with MIT with such ideas like replacing the bar code with RFID tags. Has this changed with the flurry of solutions that allow you to scan barcodes with smartphones? Dartmouth College researchers have developed Metadata Games, an experiment that uses crowdsourcing to create archival metadata. The researchers created game interfaces that enable players to tag images, either playing alone or with a human or computerized partner. Lone players come up with tags to describe the images they see, while the dual players try to come up with the same tag or tags ... "
Searching for data structure, From the Noisy Channel by Daniel Tunkelang. Some discussion and lots of links about making data more useful. In the Harvard Blogs: Not so intangible, I say. Today though it can be done in ways that were not possible formerly. In a conversation I had yesterday we discussed how even casual social interconnections were starting to be leveraged. I get several several queries a month based on topics in this blog and a few a month lead to conversations about collaboration. A few a year lead to paying topics. Efficient? Tangible. I also see that the HBR has a Collaboration Insight Center that I had not noticed before. Interesting piece on the direction that Wal-Mart is taking after their recent social networking acquisition of Kosmix. I agree with the author that this is very important to watch. WM has access to large databases of how shoppers act, and tying that closely to social experiments can lead to insightful retail discoveries. Can imagine several next steps. Stay tuned. More here on Kosmix. Tablets are the fastest selling consumer tech devices in history: From the Official Google CPG Blog. A Mashable infographic. An illustration of game mechanics at work. Where exactly will it work? Procter is preparing a global launch of Ariel Detergent. The new version of the product was developed using 3D technology to attack stains. The company will also use 3-D in the marketing campaigns for the product. More in this article. " ... Ariel's launch will include new packaging and multimedia marketing that will include Facebook and Twitter ... "
The Google blog on knocking down barriers to mobile search. Addressing Speed, voice and images. I find myself doing more and more mobile search. Yet rarely use voice or images to search with today. Or find that the search is too slow. Are these factors key barriers? Malcolm Chisholm looks at Knowledge. What are vendors trying to sell me when they market knowledge management? A good look at the issues about gamification. We discovered a number of these in our own explorations. Worth thinking about for anyone interested in the idea. There are credible players out there now that can help you do this, so you do not need to build games from the bottom up. Yet issues of good design and infrastructure are still not as easy as is sometimes imagined. A new service, Consmr hopes to be the Yelp of Consumer Packaged Goods. The name is somewhat hard to follow. Also, how much rating is actually done for these types of cheap goods? More than you think, I know of several services that have made a name of rating relatively cheap goods. Should the interaction with the service be engaged with a game? And shouldn't it be rolled in with other rating product categories? See the Consmr site. Stephen Few looks at the data visualization vendor Panopticon. Took a brief look at them some time back, and they are certainly worth a closer examination. As he suggests, in the past they have mainly been working with Financials and using the Treemap visual form. They appear to have extended their range considerably. Note their 'Horizon Graph' visualizations which deal clearly with the temporal imminence aspects of data. In the NYT: Have read with great interest the books of Stephen J Gould for years. Now one of his most famous findings, in the Mismeasure of Man, turns out to be incorrect based on repeated modern measurements. Ironically flipping the unconscious bias assumption to himself. Gould's finding of racially biased mismeasure of cranium sizes has been reported many times. Beware ideologically based science no matter how well the scientist can write. In school I was offered a job working with IBM on disk drive analysis, but I went in another direction. In my first enterprise job I worked with their optimization software to locate plants and improve warehouse operation. Later the same software helped us manage woodlands in Alberta. My first home personal computer was an IBM PC. It is good to see all the mentions of IBM this week, their hundred year anniversary. Despite the bumpy road at times, they have done some amazing things. Visiting artificial intelligence again, twenty years later, but avoiding the term. A few weeks ago took a look at an example of a learning management system that had a social component. Here is another that was pointed out to me Interactyx: " ...Interactyx Limited provides social eLearning software solutions that enhances learning management system (LMS) functionality w/ integrated social learning tools ... ". Examining further. Fascinating work at Stanford. Another example of how visualization can me used to organize and gain insight from very complex data. Always wanted to do this kind pattern discovery in the enterprise. Today we have the tools to do it ... We did experiment in the enterprise with using geographical representations of supply chain models and how it influenced choices of production and transport. Another addressed the visualization of aspects of shopper behavior in the aisle.
" ... Stanford's Spatial History Project uses databases, ArcGIS, and other technological bells and whistles to visualize history that can't otherwise be easily told. All historians encounter them, at some point in their careers: Vast troves of data that are undeniably useful to history--but too complex to make narratively interesting. For Stanford's Richard White, an American historian, these were railroad freight tables. The reams of paper held a story about America, he knew. It just seemed impossible to tell it ... "
The Information Literacy Blog highlights the first online issue of the Journal of Information Literacy. Which is "the adoption of appropriate information behaviour to identify, through whatever channel or medium, information well fitted to information needs, leading to wise and ethical use of information in society." The June 2011 issue of IEEE Computer is devoted to the topic of Smart Cities. The individual articles are not online yet. The topic, pioneered by IBM, is instructional in that it shows how very large entities that naturally generate a great deal of data, can be understood to make them work better. Models that are then built on top of this data will be key to extract this insight. Those learnings can then be used to help other large systems, like enterprises. Timestar Technologies, ... helps leading consumer packaged goods companies grow sales at retail with breakthrough analytics that optimize assortment, space, replenishment strategies and price. Timestar’s clients command the #1 or #2 position in their markets by delivering more than great products and powerful brands. Using Timestar analytics, they more precisely align supplier and retailer for unprecedented success .... "
I took a look at LinkedIn's InMaps visualization of my own business connection network when it first came out. A remarkable view of all those people. Nothing very surprising, A very big cluster around my long time enterprise connection, and a number of much smaller ones situated on consulting and vendor relationships. it would be further interesting to understand how such a visual evolves over time. And the trajectory of individuals and the effect on their careers. O'Reilly looks at the maps in more depth and interviews LinkedIn on its findings. Indications that PayPal may be coming as an option in physical retail stores. a fun, serendipitous, interactive experience. Interesting charts. Though I think there are a number of indirect costs as well. Serves as a good starting point. From the Tableau blog, and they fare well on ease of use and development. IBM's Jeopardy expert Watson moves forward and is now working as a physicians assistant. Medical diagnosis was an early application of artificial intelligence. The Dawning of the Age of BI DBMS, by Boris Evelson.
" We know how to address the key business intelligence (BI) challenges of the past 20 years, such as stability, robustness, and rich functionality. Agility and flexibility challenges now represent BI’s next big opportunity. Business process professionals realize that earlier-generation BI technologies and architecture, while still useful for more stable BI applications, fall short in the ever-faster race of changing business requirements. Forrester recommends embracing Agile BI methodology, best practices, and technologies to tackle agility and flexibility opportunities. Alternative database management system (DBMS) engines architected specifically for Agile BI will emerge as one of the compelling Agile BI technologies business process pros should closely evaluate and consider for specific use cases.... "
A Clever idea. The Evernote note-taking system, which I use, has created a free app which uses the smart cover of the iPad to let you test yourself on information in Evernote. It is called Peek. It depends on the smart cover, and not everyone has one. The same logical process is implemented in any e-learning system, but the tactile aspect of the interaction may be appealing. It does systematize the process of test and retest, so if you like the way it does it, could prove useful. You could have lots of such training set up as notes, and give out this method as a training option. As many have pointed out, it works much like a flashcard. I like it's simplicity. Google Gmail People widget . Gives you background information about people you are interacting with. It's always good to have relevant context when you are communicating. Being rolled out over the next few weeks. I have many more dense threads now, so this has the promise of being useful.
" .... immr is a research and consulting firm providing research and advisory services to leading companies in mobile, technology, and other industries. Led by Dr. Phil Hendrix, immr conducts research and advises clients in North America, Asia, and Europe. We employ sophisticated research methods to uncover and verify opportunities for innovative new products, services and applications, many of which are "new-to-market." ... "
Swiss startup rolls out this effort. Another example of determining true reactions of consumers in context. Experiments have shown these methods useful when allied with others. Another push forward for Facebook, and Procter gives an indication that Facebook can be a serious place for business. Includes 'shop' and 'shop now' buttons to provide new direct channels. Took a quick look at the startup iPad app magazine Qwiki. An overview. A simple location based magazine designed for easy consumption on the iPad. 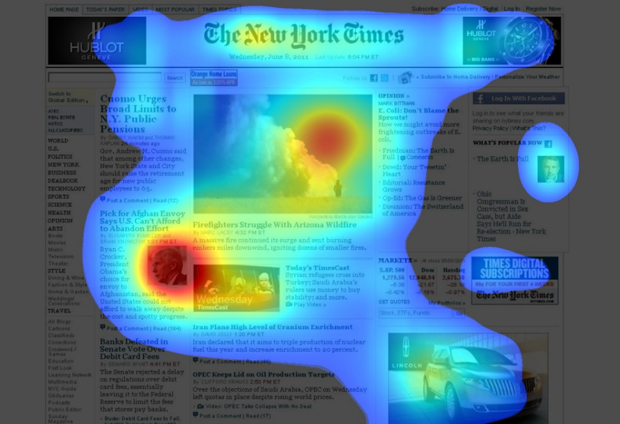 Very short articles are read to you with good, but not always great visual support. Pictures tend to be very good, charts and diagrams are less so. Computer generated voice is sometimes distracting. Reminds me of the pared down and simplistic coverage of a USA Today. To their credit includes a link to Wikipedia article on each topic for those that want more. Especially good overview of geographical and travel topics. Celebrity items. Strikes me as a way to randomly explore topics. No advertising at this time. A good experiment in pad magazine format. Good piece in the Tableau blog. I would like some more whys rather than just best practices. Still this is a nice start to think about the watch outs. I am just exploring a BI application on an iPad that works fine for displaying a dashboard, but the key interactive capabilities needed are just not practical for touch. And adding a keyboard or mouse makes it less than mobile. If I am mobile I am assuming that I want to be interactive in a detailed way. Design for that. In Mashable: " ... Hearst unveiled its fabled App Lab to members of the press Thursday. The lab is a plush, windowless, gadget-filled room designed to serve as a “think tank” for app development and advertising across the company’s many brands.... "
Good article on 3M's work in visual impact scanning. We had talked to them years ago about their research to understand its possible use in store and marketing interactions. Note the potential competition between this and similar goal methods used in neuromarketing such as EEG brain scans. Brain based methods can in theory be seen to probe deeper and go beyond just attention, but 3M has done much more research to drive this to a quantitative level. Store display and interactive displays in particular should benefit from these methods. They offer a free trial of the method.
" ... Minnesota-based conglomerate 3M has come up with a different solution, however, and it's based on decades' worth of vision research from PhDs and neuroscientists. Called the Visual Attention Service (VAS), 3M has created an algorithm that can scan all types of content (graphical, text) to determine exactly where the average human eye is most likely to be drawn. In GigaOm. FaceBook facial recognition. Technology and reactions to that most personal of possessions, your face. Is it a privacy concern? And are the privacy settings too obscure for the average user? Mark Montgomery of Kyield writes: " .... I was interviewed this week about the New Mexico Analytics Cluster project with an article to be published within the next week, so I wanted to post relevant material to the blog. If you have an interest in economic development, venturing, entrepreneurs, tech transfer, job creation, and building tech businesses or clusters, you might find this post of interest: Myths and truths about industry clusters ... ". In the ACM: Ashwin Ram on Open Social Learning. Some good ideas about how to take the obsessions of the younger generation and use them to make learning more efficient and enjoyable. " ... here is our idea in a nutshell. Call it Study Corps or Students Without Borders. A national "guild" of students interacting, helping, collaborating, studying together. "Addicted" to studying… and "loving" it. And here's the best part. My team could have this ready in a year with 1/1000th of the Department of Education budget for the new open education initiative . ... " . Some excellent links are included in the post. Harvard post on key success strategies at work, focusing on generosity. Very well put, it is not always reciprocated, but almost always works. An overview of Revenue Performance Management (RPM), which we were always doing, but saw some traction a few years ago. It appears to be driven increasingly to being systematized. Its basics remind me too of Retail Revenue Management (RRM) which relates to store design performance, which many large retailers have dabbled in over the years: " ... Three tools -- marketing automation, sales effectiveness and analytics -- combine to provide the tools a company needs to implement revenue performance management strategies. RPM is still a relatively new idea, but what it boils down to is simply about using the data that is routinely given off by our business processes as fodder for the analytics engine. Too often that data goes unused ... "
In Mashable. You can now play a whimsical Tetris-like game in Linkedin with profile head-shots. Does not drive you to a serious goal. But could make you stay on their site longer. This post also reminded me of LinkedIn's blog, which I had not looked at in some time. Biblion, from the NY Public library. A big fan of predictions of the future and their success or failure. The design of this free ipad app is very well done, with an introduction to this premier issue and forthcoming work. Is this the ultimate future of the library? Enter the World of Tomorrow and experience the 1939–40 New York World’s Fair through the collections of The New York Public Library! The Boundless Library-- now available on the App Store--and go on an exclusive journey deep into the Library's legendary stacks. This app is designed to open up hidden parts of the collections and the myriad storylines they hold and preserve...through a unique immersive experience. In this free iPad app you will hold documents, images, films, audio, and essays — directly from the collections in your own hands. 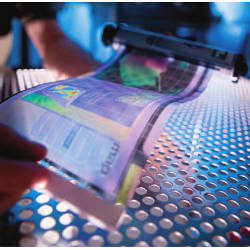 We looked at the prospect of using flexible displays on the retail shelf. This CACM article updates more of the possibilities (not full text). Takes thinking beyond the rectangular. Imagine a display molded onto most any surface. Attracting shoppers, providing information just in time with the ability to interact at just the correct location. Now all that has to happen is generating the content and have the connections to make it work fast, accurately and well. Many people are working on it. Groupon founders reinvent the pawnshop with Pawngo. Have always been interested in recycling and leveraging the wealth of modern life. Here is another clever example in Pawngo. It may be the kind of thing that will not work in today's economy, but it may work in one that is not too far away. It will further need a retraining of the consumer. Designed to support the digital lives of young people and their capacity for learning, Quest to Learn is a school committed to graduating strong, engaged, literate citizens of a globally networked world. Through an innovative pedagogy that immerses students in differentiated, challenge-based contexts, the school acknowledges design, collaboration, and systems thinking as key literacies of the 21st century. Within an integrated, rigorous Regents-based curriculum students work with teachers to gain the skills necessary to meet these requirements, and even surpass them. On-going evaluation and feedback create opportunities for students to plan, revise, and reflect on their own learning. The overall curriculum is rooted in mathematical practices and the use of smart tools, with an explicit intent to innovate at the level of how students are assessed in context. Most importantly, teachers work with students to build individual and academic competencies and enrich youth identity development within contexts that are relevant and meaningful. The school has been designed to help students to bridge old and new literacies through learning about the world as a set of interconnected systems. Design and complex problem-solving are two big ideas of the school, as is a commitment to deep content learning with a strong focus on learning in rigorous, engaging, and relevant ways. It is a place where digital media meets books and students learn to think like designers, inventors, mathematicians, writers, and more. Q2L brings together teachers with a passion for content, a vision for helping kids to learn best, and a commitment to changing the way students will grow in the world .... "
Colleague Steve King in Small Biz Labs gives a good overview of Farmshoring ... " Farmshoring - also called insourcing - describes outsourcing or locating operations in rural areas or smaller, lower cost towns in the US instead of moving them off-shore. The main advantages are lower costs without the cultural, language and time zone issues associated with outsourcing work overseas ... "
Dissecting the Ethnic consumer: In Convience Store News, a look at data about ethnic shopping behavior. " .... From what people watch to what they buy, behavior across ethnic groups in the United States is as diverse as the groups themselves, according to a new blog entry by The Nielsen Co.'s Cheryl Pearson-McNeil, senior vice president, community relations and public affairs, and Todd Hale, senior vice president, consumer and shopper insights.... "
Announced by Apple today: iCloud will compete with and likely severely hurt vendors that have as part of their services file synchronization. Watch this carefully, it will also introduce many more people to the concept of the Cloud. And Wired makes some interesting comments on why a hardware manufacturer would make a comment like that. The Mac or iPhone or iPad as 'just a device'? From the Harvard Blogs: Yes, designed well and communicate to their context transparently. " ... Obviously there are many dimensions of communication, but as these questions make clear, thinking carefully about the way products communicate can have an important influence on design decisions that may ultimately determine the success of a new venture ... "
In what appears to be a fairly radical change, Windows 8 will be looking very different than Windows 7. I am thinking of moving to a new vendor's OS during my next upgrade. Right now I am 2/3 Apple. Had to smile at this one. IBM has been pushing their Smarter City idea heavily in ads. Cities are in trouble financially today with the rest of government. So they can hardly afford IBM's usually expensive solutions. Even Fortune 100 enterprises can be shocked at the costs involved. And the reactions are getting more extreme in the age of open source, the Cloud and the App. So IBM has come up with a cheaper, prepackaged solution. Here the abstracts of the poster sessions from the American Library Association's recent meeting. Having dabbled in library science and its reaction to changes in technology over recent years, I found it refreshing to see what is going on now.
" ... While it's not clear if "Farmville" ever did anything to inspire future farmers, Marriott International Inc. is hoping a hotel-themed online game could be a recruiting tool for the hotel industry. At "My Marriott Hotel," orders stack up at the restaurant. Meanwhile, the manager has to decide how many pieces of shrimp to buy for the shumai. The kitchen runs out of croutons for the Caesar salad and there's not enough money for a new stove .... "
Relevance metrics are important. How can they be best explained? Very similar to the issues we had in artificial intelligence in explaining results satisfactorily to the decision maker. Evolution Towards Web 3.0: The Semantic Web. A talk by Lee Feigenbaum . Good background and overview of direction. I am continuing my exploration of the use of mobile mind maps. Biggerplate is an example of such a library, containing some 1100 examples. Compatible with several popular kinds of mapping software such as IMindmap 5, Mindjet and IThoughts HD. I had examined Mindmaps in the enterprise, as a simplified form of knowledge storage. Easier to construct and manage. Imagine each as a nugget of knowledge that can be interconnected with others and adapted to solve larger problems. These maps are not dynamic, they essentially outline their knowledge statically. But can be seen as the backbone of corporate knowledge, with more complex simulation and logic added as needed. If anyone would like to discuss this further, or collaborate, chime in or contact me. An App version of the popular MindManager mind mapping software Mindjet for the iPad and iPhone is scheduled to come out around June 15. Costing 9 and $7 respectively. I liked the software on Windows, particularly useful for those who like to be organized hierarchically. The concept is very useful to teach to students. I think it should have even greater value having the diagrams available on a mobile device like a pad. Here I am assuming the App versions are considerably less powerful than the Windows version, since they cost 1/25 as much. I am looking for a general,simple mind mapping App for the iPad. I was first recommended iThought HD. We will see. I have begun taking a closer look at the time oriented search engine Recorded Future for some potential client engagements. Visualization is a key method they use for describing the results. Competitive intelligence is an area where I would have used it in a previous role in my Enterprise. Any examples you can share about how you are using it? More on how it has been used. Who you are can be effectively determined by the visible fingerprint of your browser and its configuration. How much does this undermine your privacy? Slashdot outline and links to a report by the Electronic Frontier Foundation. More evidence that crowds need to retain independence to maintain the 'outlier canceling' effect that can make them useful to solve problems. Obvious, but important to remember. Our own experience was that it was easy to have influential individuals skew the results. Influential could mean many things, including well spoken, being well known or unknown, management role or apparent group role. Bottom line, anonymous worked better. Avoid even clarifying discussions. What’s going on here? Who’s in charge?
" ... We believe that the emergence of the web as a dominant publishing platform (providing an abundance of great stories), along with the increasing trend towards websites becoming more social, has created an opportunity to quickly and easily discover and consume great content from thousands of different publishers. QuiteLiked strives to provide the best most relevant stories based on interaction from other readers, across the web. We don't just rely on an editor or other readers to submit the best stories, we scour the web and surface them via our proprietary algorithm. Our mission is to curate the web's best content and make it easy to discover, consume, and share ... "
Prepared foods continue to increase in availability in supermarkets, due to bigger margins. The next step is to wrap in the restaurant as well. More margin and more time spent in the retail space equal more earnings. BzzAgent is a company that seeks to get people talk about brands.They are being acquired by loyalty data agent Dunnhumby. BzzAgent reminds, in name and direction, of a company called PlanetFeedback, which I was involved with a number of years ago and was eventually folded into Nielsen. Nice to see that Dunnhumby is modernizing its channels. Bitcoin, the experiment with encrypted online currency. Dangerous? A Scam? Revolutionary or just a renaming of something old? Will it be made illegal? It ultimately comes down to how many people will accept it. Remembering being surprised in 2010 that the US Library of Congress was archiving Twitter. Lots of details about that effort here. So many data mining opportunities will exist based on this data in the future. Is that scary? It is less surprising now, after so many people have joined up. I continue my own 'experiment' with it, three years old, largely using it to drive traffic, but now have also started to use it to do quick communications. There are today many fewer criticisms of it just being silly. A look at YouEye ... An interesting concept that is likely very cheap. But what will the quality be like? Tracks using your own camera for user interface design and analysis.